EEE Seminar on "Stories of Graphene and How it May Change Our Life"
Event Name EEE Seminar on "Stories of Graphene and How it May Change Our Life"
CIS Seminar on "WIFI Programming Techniques for IPad and iPhone Applications"
Event Name CIS Seminar on "WIFI Programming Techniques for IPad and iPhone Applications"
Time 09:30 a.m. to 12:00 n.n. 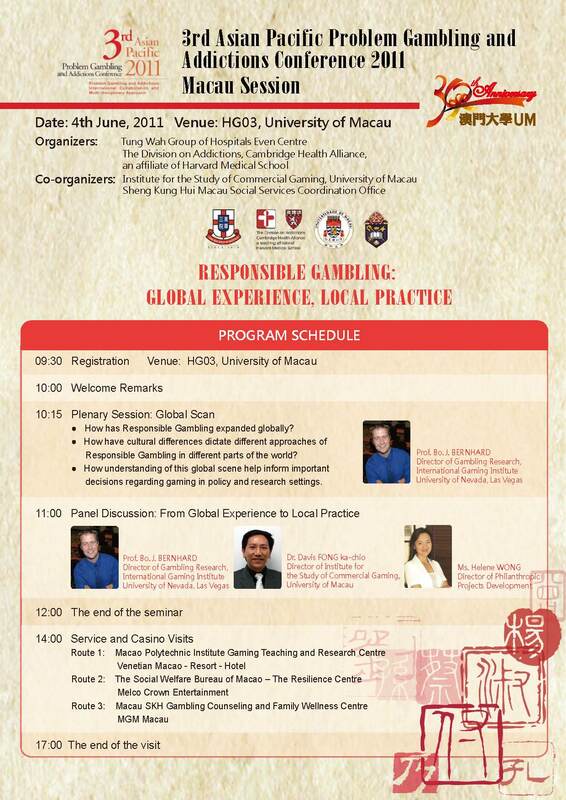 Content Institute for the Study of Commercial Gaming (ISCG) has invited Prof. Bo Bernhard, Director of Gambling Research, International Gambling Institute, University of Nevada, Las Vegas to share with audience his latest findings on Responsible Gambling practices worldwide while Responsible Gambling practices in Macau will be discussed in the seminar. 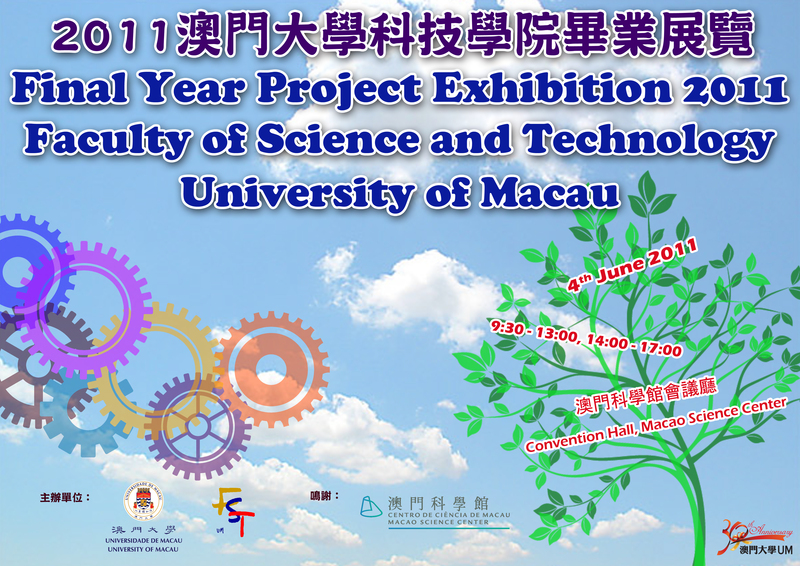 To further understand the current Responsible Gambling practices in Macao, participants can choose to participate in the casinos and agencies visits organized by Sheng Kung Hui. 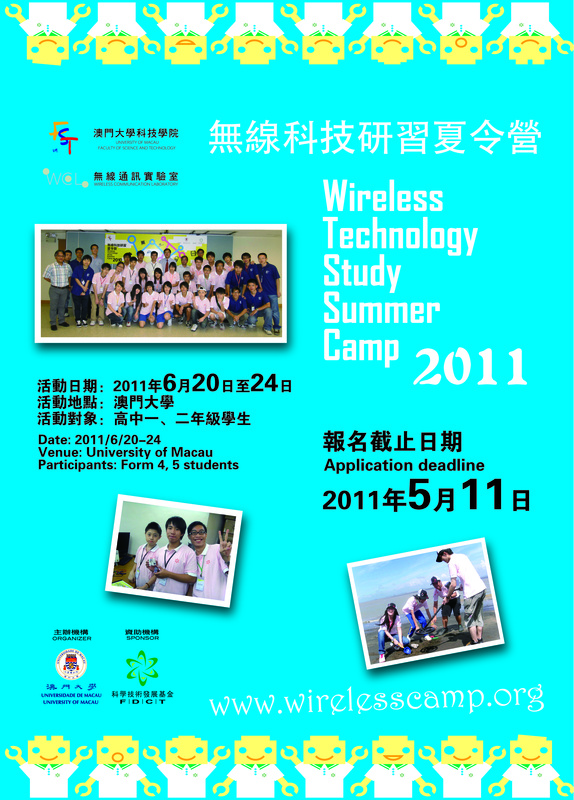 The whole session is free of charge. For those who attend, certificates of attendance will be awarded. Distinguished Lectures on Microelectronics "The Digital Allpass Filter: A Versatile Signal Processing Building Block"
Event Name Distinguished Lectures on Microelectronics "The Digital Allpass Filter: A Versatile Signal Processing Building Block"
EEE Seminar on "Leveraging Spatio-Temporal Redundancy for RFID Data Cleansing"
Event Name EEE Seminar on "Leveraging Spatio-Temporal Redundancy for RFID Data Cleansing"
Seminar on "An Effective Communication Model for Teacher-Parent Interaction"
Event Name Seminar on "An Effective Communication Model for Teacher-Parent Interaction"
Content Please refer to Chinese version. Seminar on "Parallel-Split Shadow Maps for Large-scale Virtual Environments"
Event Name Seminar on "Parallel-Split Shadow Maps for Large-scale Virtual Environments"